A top Emirati security official has said the only way for "Qatar's crisis" to end is if Doha gave up hosting the 2022 FIFA World Cup, his comments coming amid the ongoing diplomatic dispute between the energy-rich nation and four Arab countries. Dubai security Lt. Gen. Dhahi Khalfan, known for being outspoken on Twitter, later wrote Monday his "personal analysis" of what he described as the financial pressure Doha faces in hosting the games had been misunderstood. 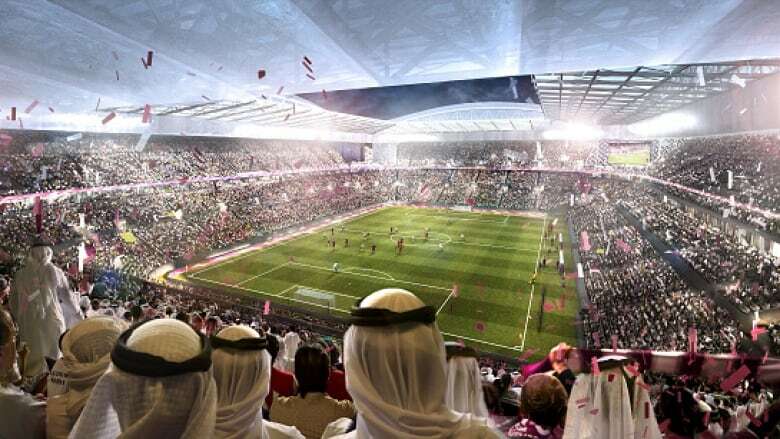 But his remarks came as lobbying firms backed by the four nations opposing Qatar in the diplomatic dispute increasingly target the upcoming soccer competition in their criticism. The tournament has not come up in the demands previously made by the boycotting countries, though losing the World Cup would represent a bitter defeat for the tiny peninsular nation that's pushed itself onto the world stage with its bid and its Al-Jazeera satellite news network. Qatari officials did not respond to requests for comment on Monday. However, the 2022 tournament's head in Qatar told The Associated Press on Friday the boycott poses "no risk" to the competition being held. Bahrain, Egypt, Saudi Arabia and the United Arab Emirates all cut diplomatic ties and began a boycott of Qatar on June 5, in part over allegations that Doha supports extremists and has overly warm ties to Iran. Qatar has long denied funding extremists and restored full diplomatic ties to Iran amid the dispute. Doha shares a massive offshore natural gas field with Iran that makes its citizens incredibly wealthy. On Sunday night, Khalfan targeted the FIFA tournament in his tweets. "If the World Cup leaves Qatar, Qatar's crisis will be over ... because the crisis is created to get away from it," he wrote. He added: "The cost is bigger than what the Hamadein have planned," likely referring to Qatar's former ruling emir Sheikh Hamad bin Khalifa Al Thani and former Foreign Minister Hamad bin Jassim Al Thani. Some believe both still wield influence within Qatar's current government now ruled by the former emir's son, Sheikh Tamim bin Hamad Al Thani. Khalfan, who previously has written controversy-catching tweets about Israel and U.S. president Donald Trump, also wrote that Qatar "is no longer our concern," suggesting media in the boycotting countries dial back their coverage of the dispute. By Monday night, Khalfan returned to Twitter to write that his tweets were his "personal analysis." "I said Qatar is faking a crisis and claims it's besieged so it could get away from the burdens of building expensive sports facilities for the World Cup," he tweeted. "That's why Qatar isn't ready and can't host the next World Cup," he added. While FIFA ethics investigators found that the Qataris used a full range of lavishly funded state and sports agencies to win the 2010 vote to host the tournament, authorities concluded there was no "evidence of any improper activity by the bid team." When Qatar's sole land border with Saudi Arabia was closed and sea traffic cut off by the boycott, World Cup organizers were forced to instigate a "Plan B," including bringing in supplies from Turkey. Asked about Khalfan's comments, FIFA said Monday: "We do not comment on speculation." Hassan al-Thawadi, Qatar World Cup supreme committee secretary-general, told the AP on Friday that the project remained on time despite that. "We are aiming to make sure that this World Cup leaves a legacy for the people of the Middle East [and] is an opportunity to transform our region towards a sustainable and stable future," he said. World Cup qualifying: Who's in?